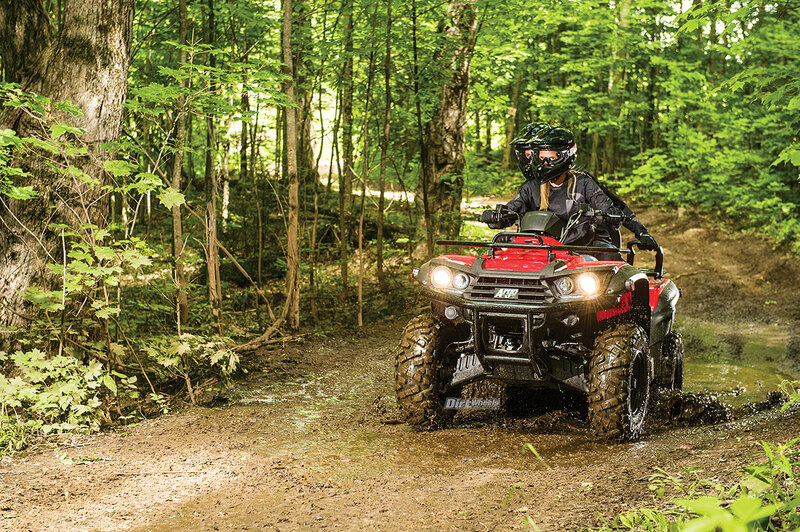 The entire Argo Xplorer quad lineup is priced to compete in the lower-engine classes. The Argo 500cc models will be priced around the 400cc+ models of other brands, while the Argo 1000cc model will be priced to compete with 850cc models of other brands. The name Argo has always held clout in the ATV world. Argo can legitimately say that they were the first all-terrain vehicle. Fifty years ago Ontario Drive & Gear’s (ODG) first Argo amphibious machine made a literal splash in the industry with its six wheels and skid-steer steering mechanism. The name Argo is derived from the Greek mythological hero Argonaut, who had stamina on land and water. Being that the Argo is amphibious, this name worked perfectly. The Argo was something new that no one had expected to arrive. Hunters, recreational riders and fishermen hopped on the idea right away, and those same groups support it today. For the last 49 years Argo has held steady building only their original amphibious model, and aside from minor tweaks, an actual handlebar and some creature comforts, it didn’t change much in between. That is until this year. Argo wanted something else to offer their dealers. After doing a survey with said dealers, it was a unanimous vote for Argo to make a traditional ATV. That’s how the wheels started to turn, and the 2018 Xplorer quad models were born! 2018 Argo Xplorer XRT500 LE. 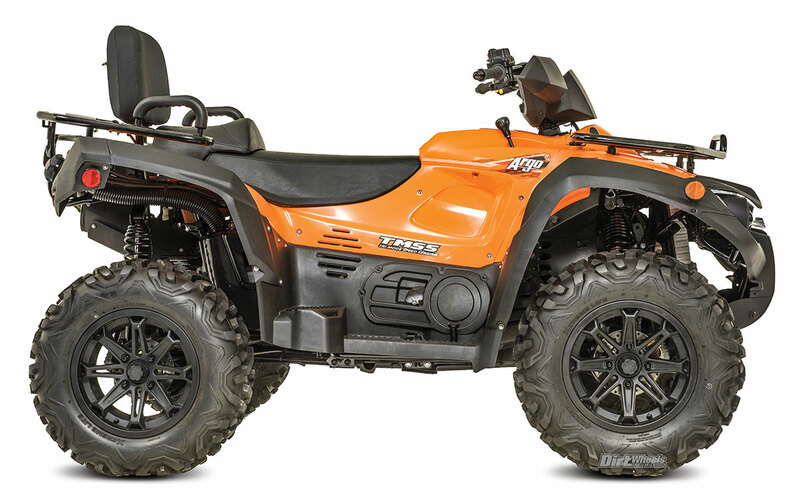 The Xplorer XR 500 one-up and XRT 500 two-up model are the price-point models in the new Argo ATV lineup. 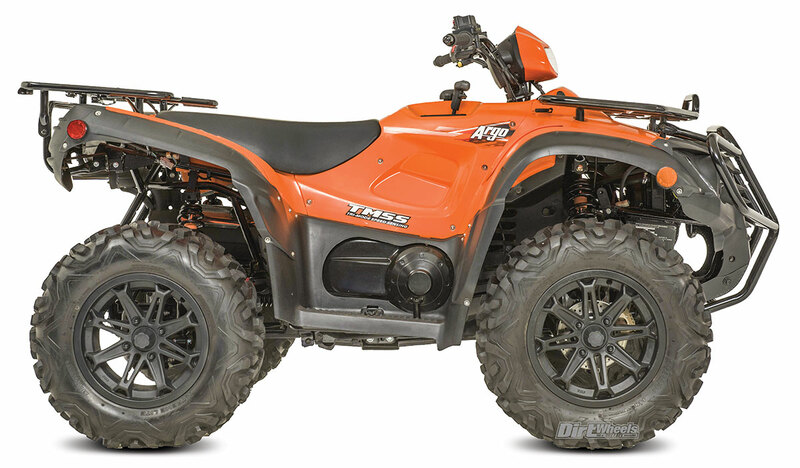 They’re full-size ATVs that are priced to sell within the mid-size ATV class. They feature a 503cc SOHC, four-valve, single cylinder, liquid-cooled engine, which produces 39 horsepower. It motivates with the help of a CVT. An easy-to-use gear selector located on the right side of the fenders near the gas tank allows you to switch from L/H/N/R. It’s fed with an electronic fuel injection system that allows it to run well at virtually any elevation. Another unique feature on the XR and XRT 500 models is it has a dual-exhaust silencer, which would make it the only 500cc utility quad in its class to have it. Selectable two-wheel drive and four-wheel drive with a locking front differential comes standard on each model. Both the front and rear of the Xplorers offer independent double A-arms and preload-adjustable shocks. The XR models enjoy 8.7 inches of front-wheel travel and 9.4 inches of rear-wheel travel. The XRT models have more travel because of the added weight, with 9.1 inches of wheel travel in the front and 10.4 inches of wheel travel in the rear. This helps equate to 12 inches of ground clearance for the XR and 13.2 inches of ground clearance for the XRT. Compare those numbers to the 2018 Honda Rubicon 500 EPS (MSRP $8599.99), which has 9.4 inches of ground clearance, 7.28 inches of front-wheel travel and 8.46 inches of rear-wheel travel. The XR and XRT models come with or without electric power steering. The EPS models have a higher price tag of $6,899.00 for the one-up model and $7,899.00 for the two-up model. 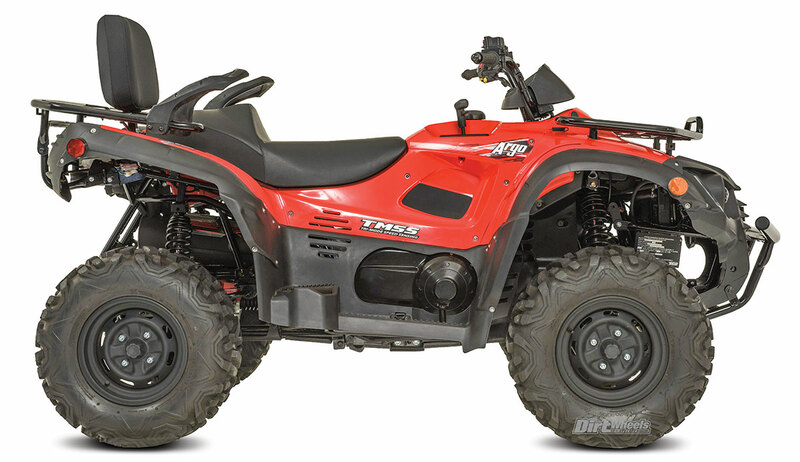 Argo’s Tri-Mode Speed Sensitive Electronic Power Steering, or TMSS EPS, not only senses the ATV for varying levels of assist, the rider has the option to select no assist, minimum assist and maximum assist steering by the flip of the switch. That’s another option somewhat unique in the ATV world. Another notable feature on all of Argo’s new ATVs is they come stock with projector-style front headlights. Much like most Polaris ATV models, the single brake lever on the handlebars actuates all the brake calipers at once. Unlike Polaris, however, Argo’s foot-pedal brake lever will actuate all brake calipers as well, whereas Polaris models only actuate the rear brakes with the foot pedal. Large 200mm hydraulic brake discs in the front and 190mm rear hydraulic brake discs come on the XR and XRT models. These two base models come equipped with 12-inch steel wheels and 25-inch six-ply tires. Each Argo Xplorer ATV has a digital instrument panel with odometer, speedometer, trip meter, RPM, transmission position, fuel gauge, high temp/low battery, lights, high-beam light, EFI checking, differential indicator and 2WD/4WD indicator. Each of these models have lockable storage on the front fenders, and a front bumper comes standard. The Xplorer line utilizes a standard 2-inch receiver, just like your truck, and has a tow rating of 1300 pounds. All of the Xplorer models received heavy-duty steel racks that can handle 99 pounds in the front and 165 pounds in the rear. On the XR and XRT models you can choose either red or green. The Xplorer LE models have all the same great features as the EPS versions of the XR and XRT models, but with a little more flash, flair and a higher price tag. The XR one-up model retails for $7,399.00 and the XRT two-up model retails for $8,399.00. For comparison, the 2018 Polaris Sportsman 570 SP, which is a premium model, retails for $8699, and the 2018 Honda Rubicon 500 EPS Deluxe, another premium model, retails for $9799. The flash and flair begins with premium black aluminum 14-inch wheels wrapped with 26-inch six-ply tires. The LE model also received a handlebar headlight to add more light on the trail. Along with these upgrades, the one-up XR model is offered in premium colors, such as orange and silver, whereas the two-up XRT is offered in premium colors, like silver, orange and black. 2018 Argo Xplorer XRT1000 SE. Now for the big show, the Xplorer XRT1000 SE. Argo has priced their XRT1000 SE at $12,699.00. They did this so they would have a price point like the Polaris 850 utility quad at $8899, but with more options and horsepower. The 1000 only comes in the XRT two-up version for now. The XRT1000 SE has a 997cc, SOHC, four-valve, liquid-cooled V-twin engine fed by an electronic fuel-injection system. Like its 500cc counterpart, the 1000 has a belt-driven CV automatic transmission, and engine braking comes standard. This powerplant produces 83 horsepower, which is six less than a Can-Am Outlander Max Limited 1000 two-up quad. An upgraded, gated gear selector is offered with L/H/N/R/P. Unlike its 500cc brethren, it has a large single exhaust system commanding attention in the rear of the machine. 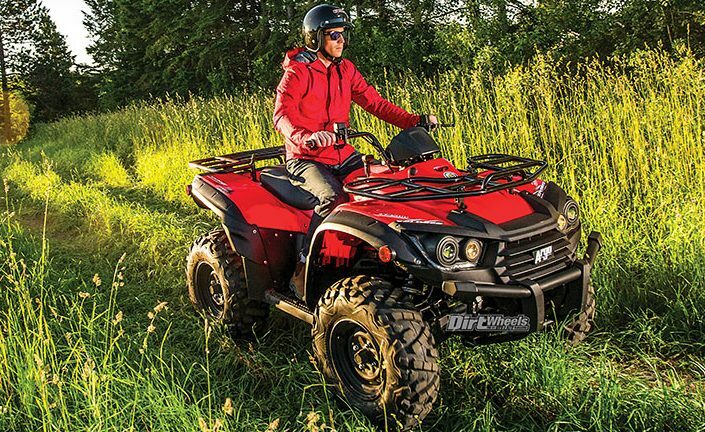 The XRT 1000 SE comes equipped with active descent control and an electric unlocking, turf-mode, rear differential. In high- or low-range four-wheel drive, if things get slippery, the handlebar-mounted control activates the electronic-locking front differential, providing maximum grip at all four wheels. Selectable two-wheel drive and four-wheel drive come standard. 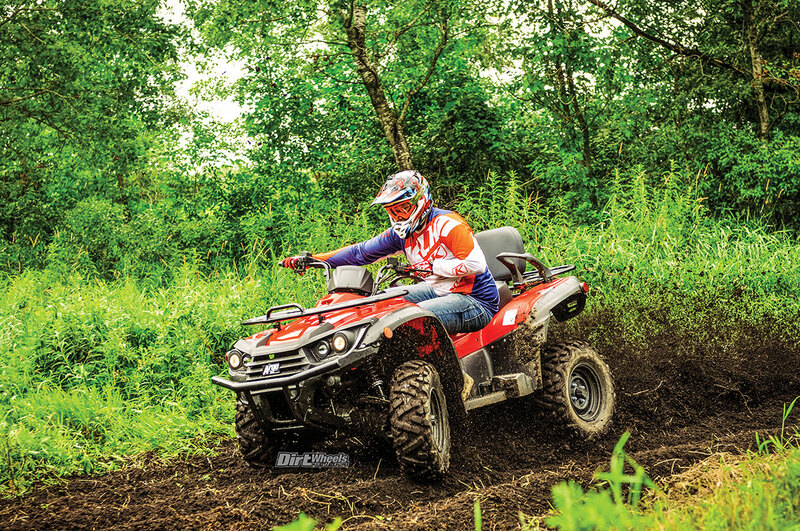 The Argo XRT500 models offer an impressive 12 inches of ground clearance. 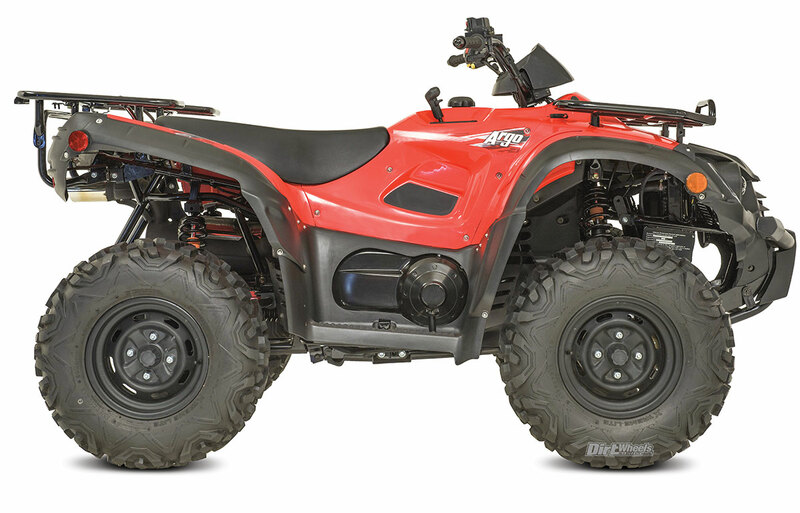 The front end on the two-up XRT500 model offers 9.1 inches of front-wheel travel and 10.4 inches of rear-wheel travel. Independent, double-A-arm front and rear suspension with adjustable preload shocks provide 8.7 inches of wheel travel in the front and 9.3 inches of wheel travel in the rear. 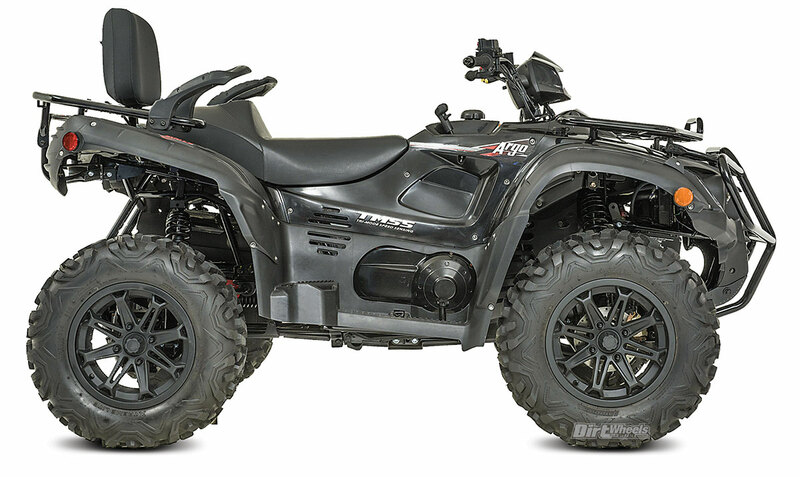 Can-Am’s Outlander Max Limited 1000 has 9 inches of wheel travel in the front and 9.3 inches of wheel travel in the rear. The Xplorer XRT 1000 LE has 11.6 inches of ground clearance and the Outlander Max has 11 inches. More of the same parts came from its little brothers, the XR and XRT models. It, too, shares, the same brake components, TMSS EPS, 1300-pound towing capacity, projector headlights, LED taillights and heavy-duty steel racks. In stock trim the 1000 does miss out on a standard front bumper and a handlebar headlight, but it does come stock with plastic handguards. The 1000 LE also has the same premium 14-inch black aluminum wheels and 26-inch six-ply tires of the XRT500 SE model. The Xplorer XRT 1000 SE comes in orange, black or silver. 2018 Argo Xplorer XR500 LE. NOW WHERE IS THE FIRST TEST? We know you’re itching to find out what we thought about the 2018 Argo ATVs and their 2018 amphibious models. We will have full test reviews of each of these machines in upcoming issues of Dirt Wheels magazine, so be sure to stay tuned for all the action on land and in the water! LAKE ELSINORE GRAND PRIX THIS WEEKEND!